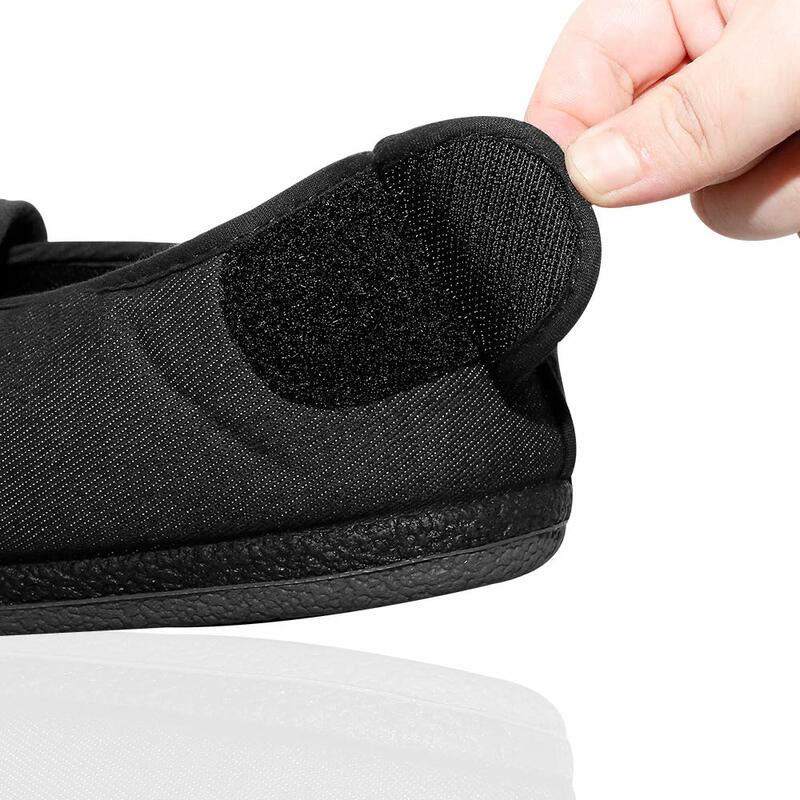 These easy-wearing shoes are a must for those with swollen, Diabetic, or Edema feet. 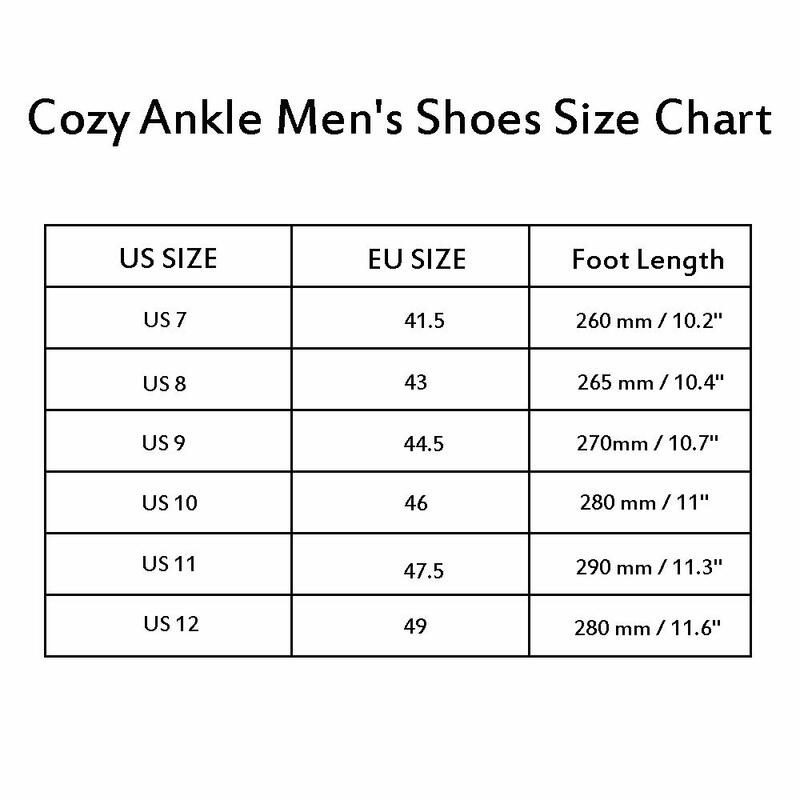 Your feet deserve COZY ANKLE. 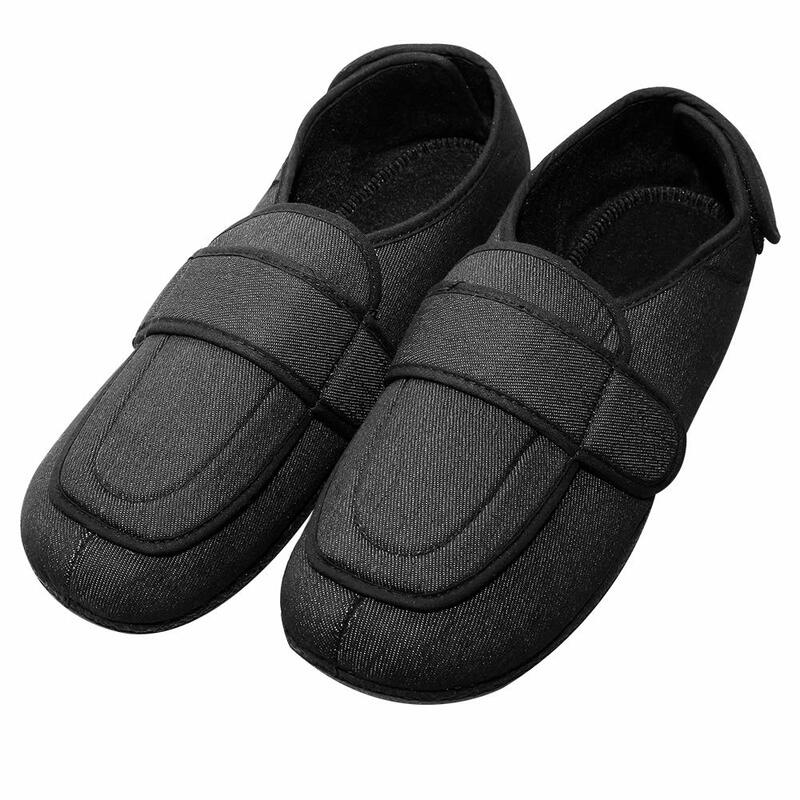 Our soft and breathable slippers are made from premium quality materials with antimicrobial technology. Fitted with ultra-soft memory foam, the insole of each slipper helps provide pressure points with unparalleled comfort and support for anyone who needs a touch of coziness in their footwear. Your feet deserve COZY ANKLE. 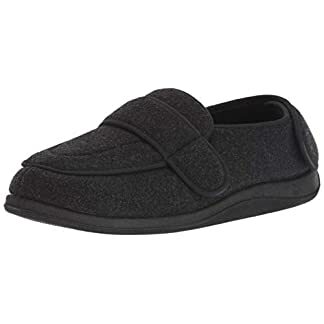 Our soft and breathable slippers are made from premium quality lightweight materials with antimicrobial technology provides protection against odors and stains. 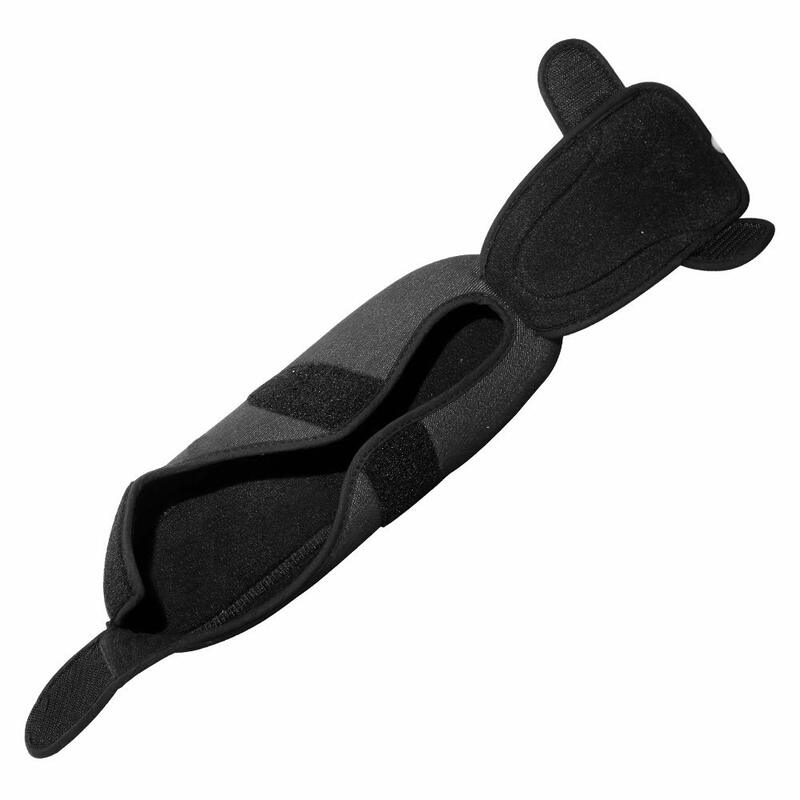 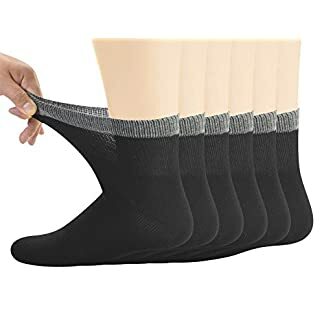 Easy to open adjustable Velcro straps make a thoughtful gift for your husband, wife, parents or grandparents for Christmas, birthdays, and any special. 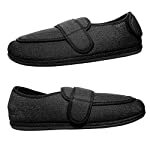 occasion where you want to reward a loved one for spending a long day on their unhappy ankles! 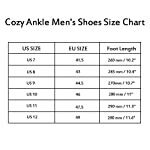 Ample and adjustable room to accommodate regular to slightly swollen feet. 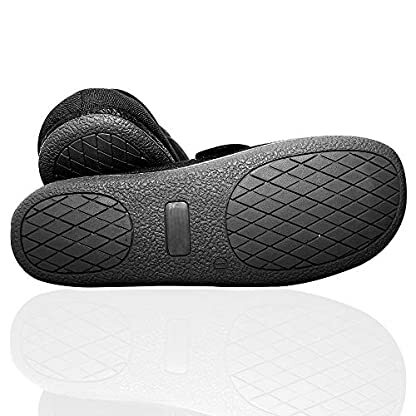 With sturdy dual-density rubber outsoles, our skid-resistant house shoes keep you from sliding on tile, wood or vinyl floors. Insoles are molded to feet and the rubber contour heel provides more comfort and flexibility. Each slipper insole is fitted with ultra-soft memory foam that helps provide pressure points with unparalleled comfort and support for anyone who needs a touch of coziness in their footwear. 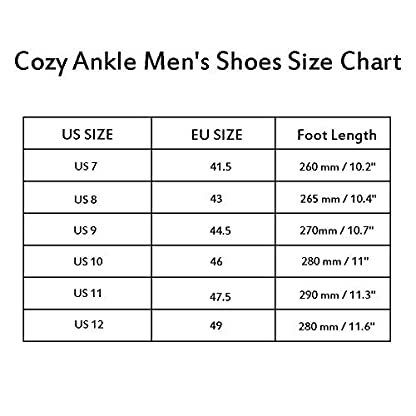 COZY ANKLE is owned and engineered by Cozy Ankle Production and is designed to make people’s life easier and fun – Just click our brand name and enter into the store to get a pair for your loved ones. COZY ANKLE slippers with easy to open adjustable Velcro straps make a thoughtful gift for your husband, parents or grandparents for Christmas, birthdays, and any special occasion where you want to reward a loved one for spending a long day on their unhappy ankles! Target User & Occasion: Diabetic Patients, Doctors, Adult, Home, Office, Hospital, Indoor, it will bring some help to swollen feet, flatfoot, Talipes Valgus, Hallux Valgus, splayfoot and more. —- with comfy wearing.